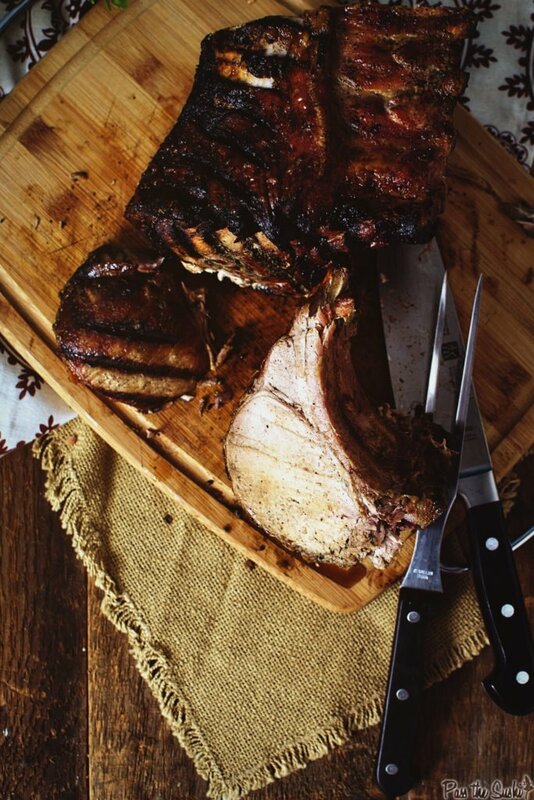 Charcoal Grilled Pork Roast: Get on down to your market, gab with the butcher and get to lighting those coals. It’s a good day for grilling. Some days are about more than just a quick meal on the barbecue that feeds the family or a few discerning guests. Some days it’s about creating a meal that makes people want to unfold their napkin for and sit down at the supper table like they are all sorts of proper. And from time to time, there is nothing wrong with going the extra mile, milking the hard earned paycheck and splurging on a meal that is going to take a little longer, taste fantastic, and be worth the appreciate you are about to receive. The problem with these meals is they are intimidating and you have to put a lot of work into them. Ok, maybe not the main dish, but the getting the house ready, the market run, the menu planning and the whole nine. As someone who loves to cook – a lot – I have learned that the hardest part about whipping up a meal like that is getting over all the work I am thinking about and just doing it. 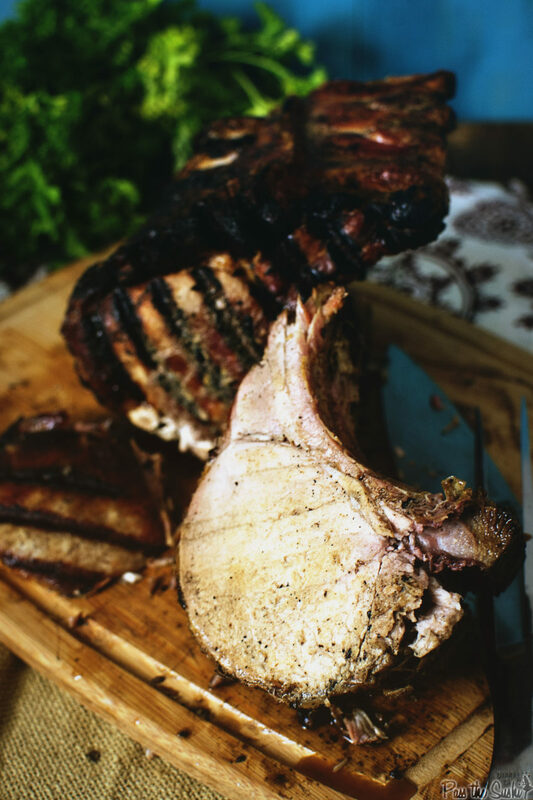 Should you try a Grilled Pork Roast? 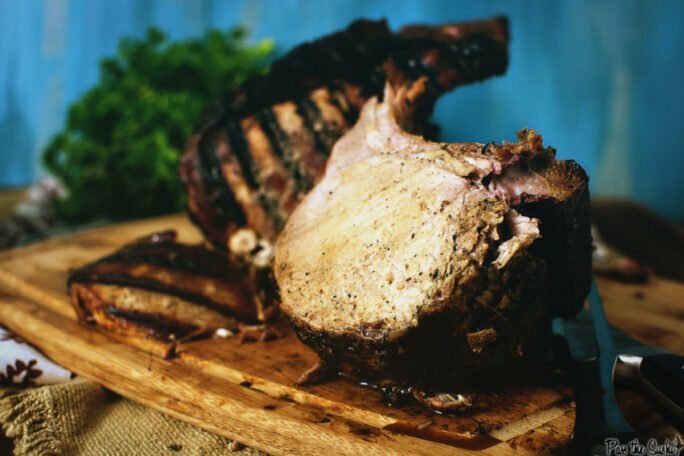 If you are a hockey puck burger or a well-done kind of cook, then chances are you haven’t made it this far down the food blog to learn about cooking a pork roast. It would be a waste of time and money for everyone involved. And just tragic. But, for those of you looking to dabble and try something new, this is an excellent practice roast. Why? It’s a big cut, which is trickier to cook. A pork roast is cheap, like $40 less than the prime rib I picked up last week cheap. And it’s resilient. What better could you ask for when giving big roasts on the grill a go for the first time? Ignore the details. A 15-minute spit shine will clean the house. No one’s going to notice if you whip out the fancy paper plates. Roasts go great with mashed potatoes and a roasted veggie. Seriously, don’t stress it. I do this all the time. Get on down to your market, gab with the butcher for a pork roast and get to lighting those coals. It’s a good day for grilling. I bet that roast was amazing! If you’re inspired to cook up some more big cuts, check these recipes out. Grill it, smoke it, char it, eat it! 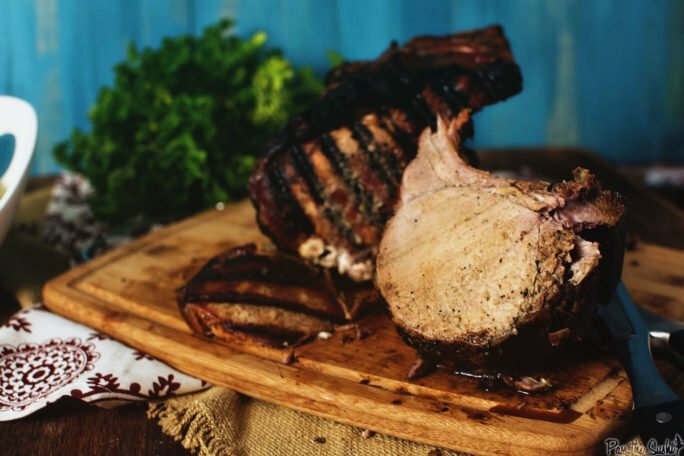 If you’ve tried my Charcoal Grilled Pork Roast Recipe or any other recipe on GirlCarnivore.com please don’t forget to rate the recipe and let me know where you found it in the comments below. I get inspired by your feedback and comments! You can also FOLLOW ME on Instagram @girlcarnivore as well as on Twitter and Facebook. Pat the roast dry and sprinkle liberally with salt. Meanwhile, heat your grill for indirect heat. Make sure that you have enough charcoal in your grill to last a while, or that you have a grate that allows you to add more coals as needed, Clean and grease your grill grate. Rub the roast down with olive oil. Season liberally with salt and pepper. Mix the minced herbs and garlic in a small bowl and pat onto the roast, covering evenly as best you can. Place the roast on the grill, away from the hottest portion, and close the lid. Check on the roast every so often, flipping to get even seat marks all over – but allowing the bones to take the brunt of the heat so that nothing dries out. Cook until the pork roast registers 145 with a thermometer. Remove from heat and cover with foil to rest. Allow to sit for 10 minutes before slicing and serving. That looks good. In India, we do not use the thermometer that liberally. It is the sight that we use. Is something wrong with it? Also, the pork in India is, generally, not of that high a grade and so grilling is a most dangerous option. It is damned cheap, though. $2 for a Kilogramme. We do not have differential pricing. This is a great roast. I’m always looking for budget ways to feed a crowd!